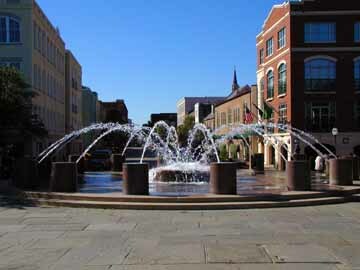 The cultural capital of the South, Charleston, South Carolina has become one of the most popular travel destinations in the country. Founded in 1670, Charleston has endured many trials and tribulations, including fires, hurricanes and the Civil War, only to emerge more splendid and glorious than ever. Charleston?s natural beauty, Old World charm, numerous historic structures and location on a low-lying peninsula between the Cooper and Ashley Rivers have earned the city accolades. In 2002, Charleston ranked ninth on Travel and Leisure magazine?s ?Top City in the United States and Canada? 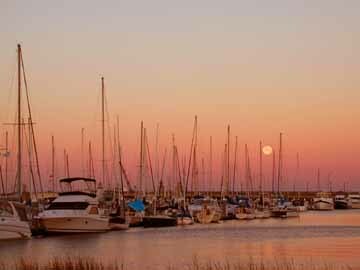 while the exclusive Conde Nast Traveler magazine named Charleston the ?Number Three City to Visit in America?. Lavishly designed gardens, championship golf courses, cozy restaurants and sidewalk cafes, specialty shops, cobble stone streets, Civil War era plantations, awe-inspiring architecture and good old Southern hospitality guarantee that Charleston has a lot to offer everybody. As hundreds of thousands of travelers discover each year, one visit is simply not enough. With so much to do and see while in Charleston an organized tour may be one?s best bet. The region?s agreeable climate makes a walking tour a pleasant option. 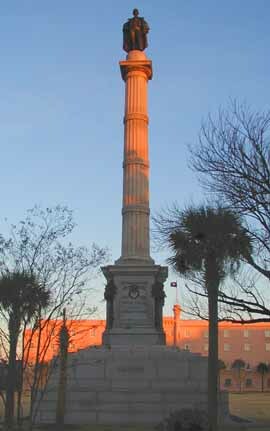 Civil War buffs will want to embark on the Civil War Walking Tour and hear the tales of what the city was like under Union occupation while architectural enthusiasts will look forward to a stroll through Charleston?s original walled city. For those who want to go easy on the feet, mule and carriage tours through Old Charleston are ideal as are horse drawn carriage rides. The Harbor and Fort Sumter Tour is the only tour in town that takes tourists to the spot where the first shots of the Civil War rang out. Originally federal ground, the Rebels managed to take the fort in 34 hours and hold on to it for four long years while under constant bombardment from the Union troops. Today park rangers are on hand to relate the amazing history of this place that officially divided the United States in two until the end of the Civil War. 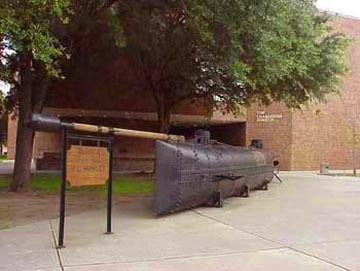 A museum with artifacts dating back to the days of the Civil War is also on the premises. Charleston, South Carolina is absolutely bursting with museums and historic buildings, many of which pay homage to the antebellum period of the South. Drayton Hall is one of Charleston?s most prized attractions. Surviving the American Revolution and the Civil War, Drayton Hall introduces visitors to life on a plantation. Built in the 17th century, the Magnolia Plantation and Gardens is beautifully preserved. Highlights include one of the country?s largest azaleas and camellias collections, wildlife observation tower, Early American antiques and an antebellum cabin. Also located on the Magnolia Plantation is the Audubon Swamp garden which spreads over 60 acres and is home to numerous reptiles, plants, mammals and birds. What started out as the America?s commercial hub later became a prison during the Revolution. The Old Exchange & Provost Dungeon is a must see for history buffs. Art lovers will definitely want to visit the Gibbs Museum. Boasting an extensive collection, the Gibbs Museum features one of the most comprehensive collections of miniature portraits in addition to other genres of artwork.